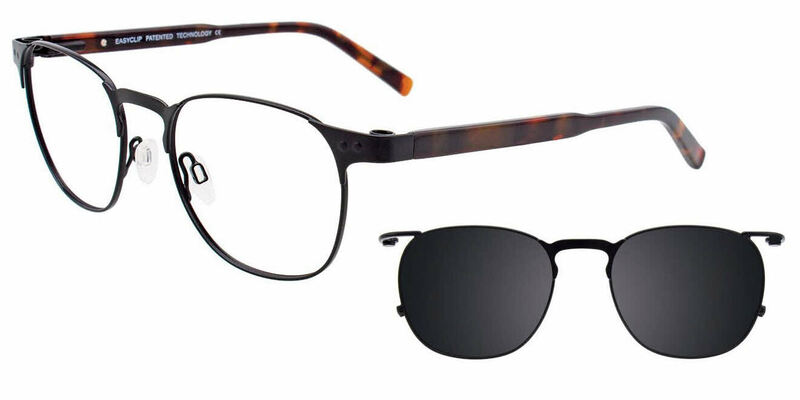 Easyclip EC 420-With Clip on Lens is a Full Rim frame for Men, which is made of Metal. Easyclip EC 420-With Clip on Lens Eyeglasses come with a cleaning cloth and protective carrying case. These frames are great, not only are the well crafted and sturdy, but the clip-on sunglasses make them versatile and convenient while driving, without having to buy a second, dedicated pair of prescription sunglasses.